Legacy Place is an integral part of our community where we provide enhanced support services for people with dementia, Alzheimers and other related memory care needs. Our higher level of care unit is designated for residents with memory care needs. This secure unit ensures the safety of residents with memory loss and skilled staff provides guidance and caring to maintain the resident’s optimum level of independence. If you aren’t sure your loved one needs the benefit of the Legacy Place, here are just a few of the ways we can make life better for him or her. People with dementia or Alzheimers tend to walk off and can end up halfway across town without knowing what has happened. This exposes them to many risks, including falling danger, inclement weather conditions, and overall emotional distress. The Legacy Place is designed to provide access to the outdoors, community spaces, and private living within a secure environment. This can bring huge peace of mind to you and your loved one. Many people can handle some dementia symptoms from their loved ones, but it’s amazing how quickly you can get out of your depth. The staff at the Legacy Place are specifically trained to care for people with dementia. We rotate them less often so our clients have an opportunity to see familiar faces. We are also trained to ensure the safety of all our residents. Just because someone has dementia or Alzheimers doesn’t mean he or she is precluded from fun and joy. We structure every day at the Legacy Place to stimulate conversation, growth, and simple enjoyment of life. We do it in a way that ensures every resident has the opportunity to engage in a safe, supportive environment. Thriving is the inevitable result. One of the most painful challenges anyone faces as they get older is maintaining quality of life. Eventually, it is impossible alone. We know you want the very best for your loved one. We know you need your loved one to live in a place where he or she can thrive, enjoy life, and stay safe among friends and caretakers. That is why we pour all we have into the Legacy Place every day, working hard to make it the very best dementia/Alzheimers assisted living community in New Jersey. Contact us to learn more about our unique senior apartments today! 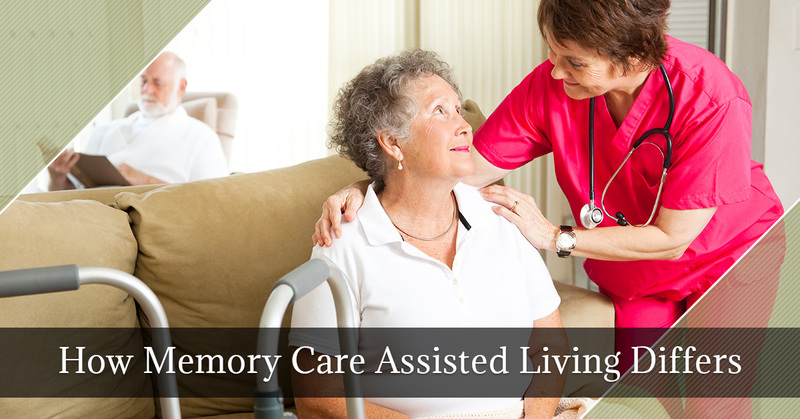 Memory care assisted living is different than other types of senior care. Because those with memory impairment due to dementia or Alzheimer’s disease present with additional challenges, it takes a specialized team that can help. At Heritage Assisted Living, our Legacy Place is a special place for seniors with memory impairment. Read here to learn how our designated memory care unit differs from our other senior care or assisted living programs. When those who suffer from cognitive impairment also have mobility issues, it can present with many challenges. For instance, those who suffer from Alzheimer’s disease or similar dementias often forget the simple things and can get confused when their body does not respond the way it should without much thought. This can lead to falls and injury. If they are already recovering from an injury such as a joint replacement or broken or dislocated bone, this can easily aggravate the injury and lead to painful complications. Specially trained staff know the challenges these residents face and are more attentive to the physical needs of those with mobility needs. 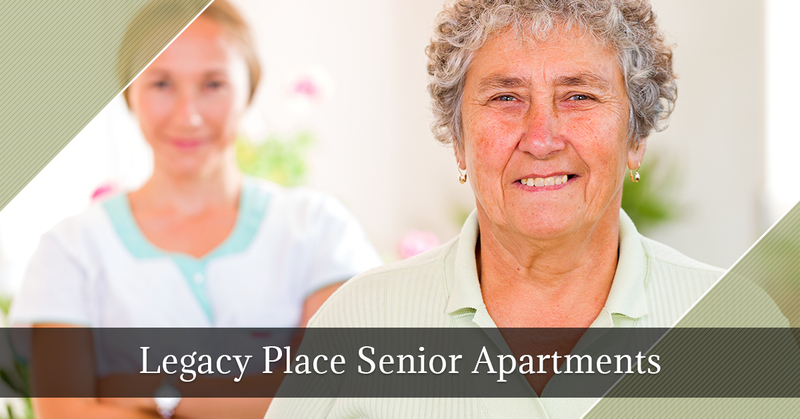 From assistive devices to specially trained physical therapists, the Legacy Place knows what to do. In the memory impaired, pain can manifest in different ways. Many times, those who suffer from dementia are not aware of what they are feeling or how to express it. Pain management can be especially difficult when pain manifests as anger or combativeness due to the inability of the resident being able to identify and express their own needs. This, coupled with the fact that most pain management methods alter the mental state of healthy individuals, which can further exacerbate cognitive impairment. The nursing staff at Legacy Place are well trained and highly experienced with identifying pain symptoms in the dementia patient and treating pain with methods that will not sedate or cause more emotional distress. In the assisted living environment, many residents require little assistance with activities of daily living (ADLs). While someone may require assistance setting up meals, they are generally able to feed themselves. However, with dementia patients, it is important for staff to be aware of meal times and how much a resident is taking in. The basic physiological processes, including hunger, are things that the dementia patient are not always aware of. And, while the act of getting food into the mouth may be completely intact, depending on the severity of the cognitive impairment, remembering to chew and swallow the food may be compromised. This is where a specially trained staff comes in, to help remind the dementia client of what they have and have not done in regard to personal hygiene, personal care, toileting, and feeding. At Legacy Place, our dedicated nursing assistance and patient care technicians are skilled, trained, and patient. They have the experience to help those who cannot help themselves. When your loved one suffers from dementia or cognitive disabilities, you need someone you can count on to provide quality care. Contact us at Heritage Assisted Living to schedule your tour today!